The study is conducted over 113 respondents from the slum area of Lucknow city with the objective of exploring the relationship between the slum customers and the factors affecting bank account opening under Pradhan Mantri Jan Dhan Yojna in Lucknow city. The data is collected using structured questionnaire consisting of both open-ended and close-ended questions. The area of sampling is selected on judgement basis and the data is collected using convenience sampling. It is found that there is a positive relationship between slum customers and the factors affecting bank account opening under Pradhan Mantri Jan Dhan Yojna. Joshi and Rajpurohit (2016) focussed on the failure of government for creating the awareness to rural customers about the scheme. They also found that demographic factors are not significantly related to the level of awareness of rural consumers about the financial inclusion scheme. They also considered the level of awareness about the financial inclusion was due to lack of understanding about the banking services in financial betterment. 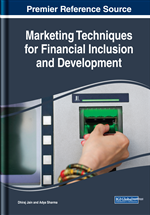 Kumar and Kaushik (2016) conducted the study to examine the major steps towards the financial inclusion i.e. Pardhan Mantri Jan-Dhan Yojana (PMJDY). They collected data using structured questionnaire on five point likert scale. They found risk as an important factor affecting the view point of the bankers regarding Pradhan Mantri Jan Dhan Yojna using factor analysis on twenty five variables.